A Swan Brand Carlton four cup teapot. Made in England. Very cute and love the design. $4. A wire mesh soup skimmer or strainer with wood handle. $8 at an antique shop. 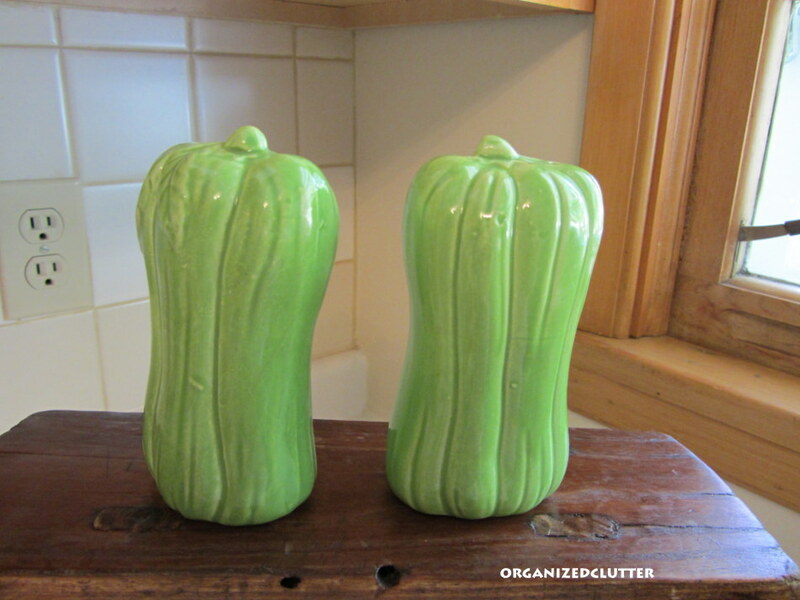 Unmarked celery salt and pepper shakers. $2.50. 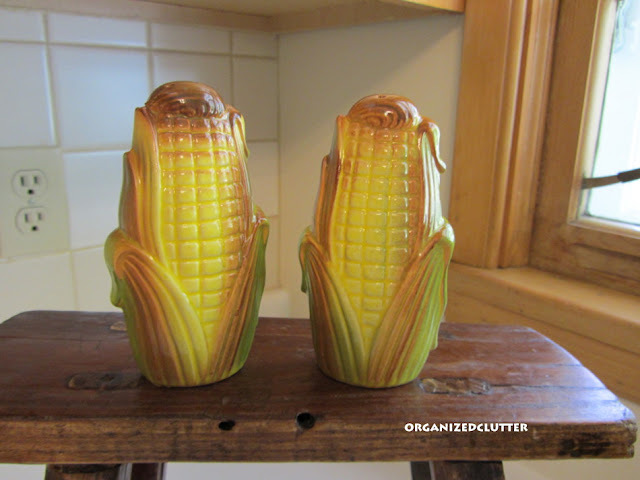 Made in Japan corn cob salt and pepper shakers. $2.50. 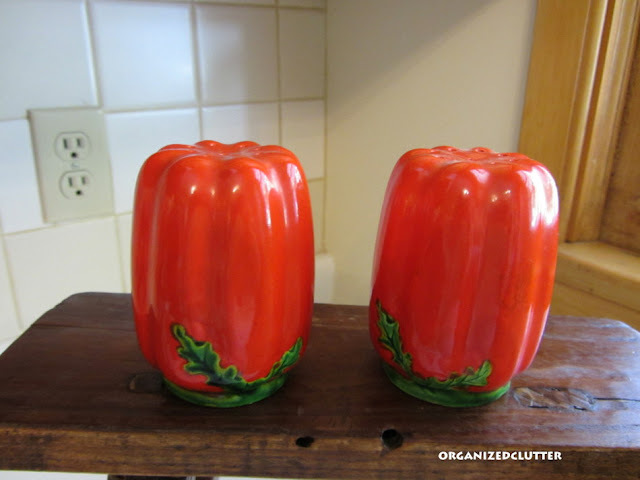 Unmarked (but I think vintage with cork stoppers) red pepper salt and pepper shakers. $2.50. Hull brown drip salt and pepper shakers. $2.50. 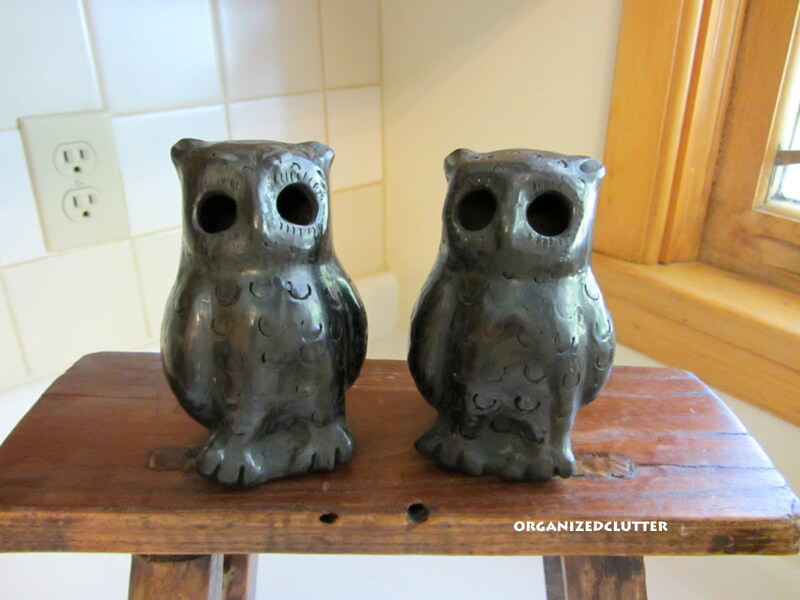 Yes, I picked up a couple more owls. 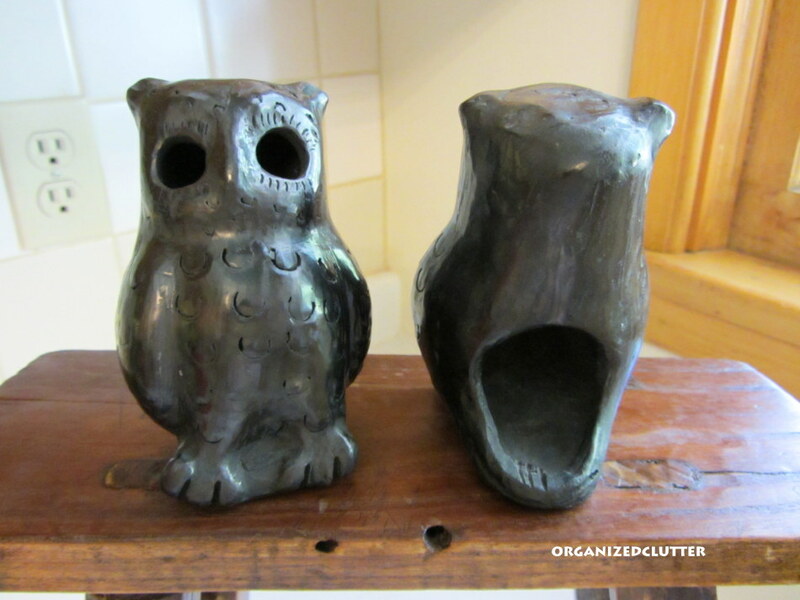 I think these are incense burners from the last owl craze in the 1970's. 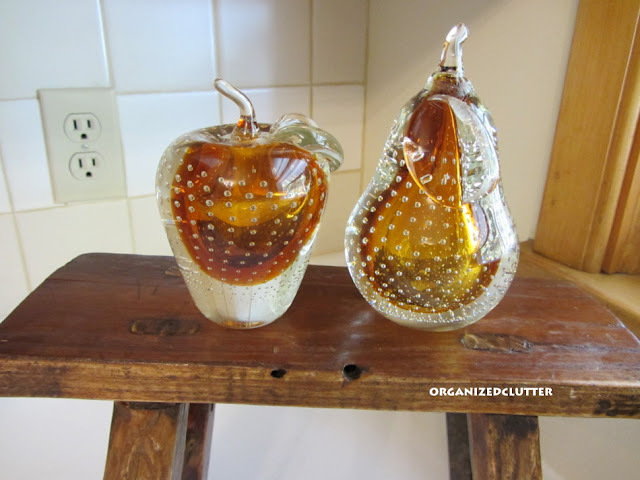 Vintage controlled bubble solid glass apple and pear. Maybe paperweights. $6 each. 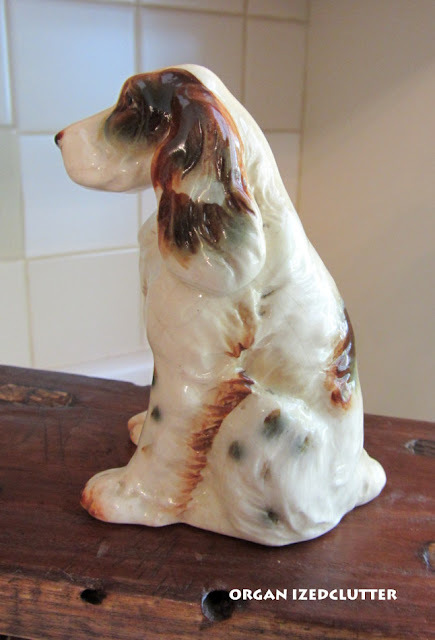 And finally, another spaniel figurine. Marked KN or RN (trademark sign) and paper label Quebec, Canada. $2.00. I was happy with my finds! 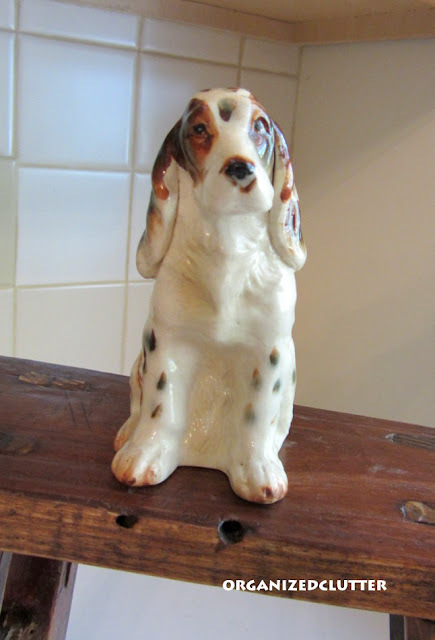 If anyone knows the maker or other information on my finds, please let me know. Thanks. I'm joining Rhoda at Thrifty Treasures Fall Edition. 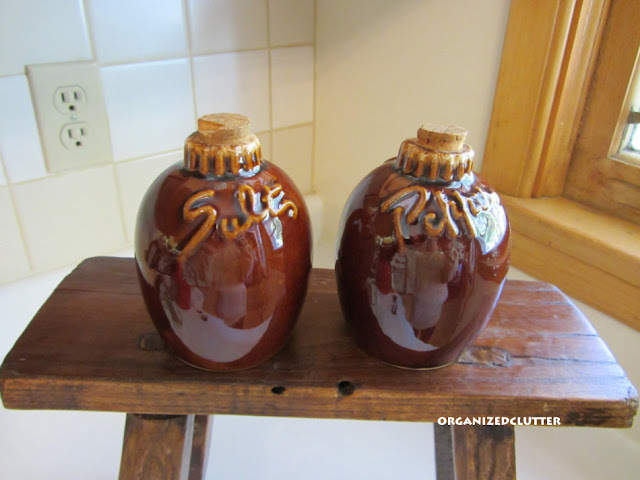 Awesome finds Carlene! 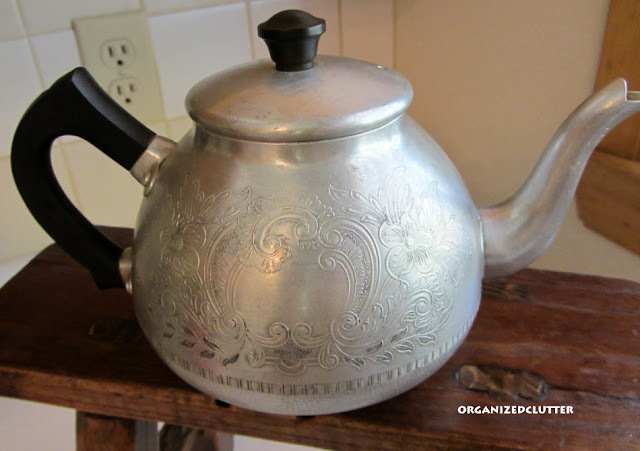 Love the design on that teapot too!! 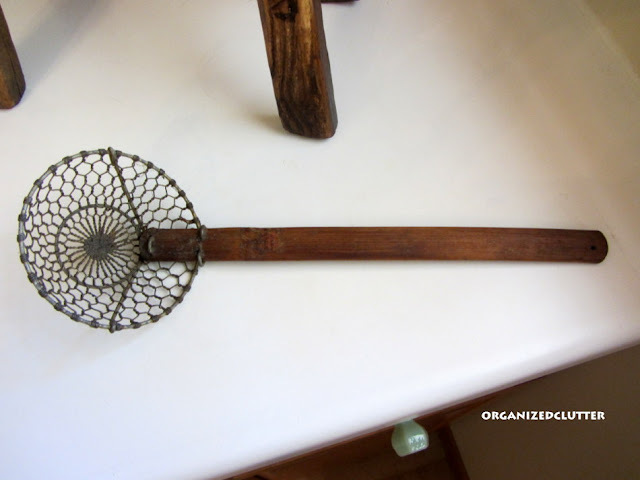 I love that primitive old soup skimmer! Very cool. Great finds! I think my favorites are the green s&p shakers...so retro. Great finds! And, you're already putting them to good use! How fun they all are. Love to see your finds. You come across such fun things! That teapot is amazing! I like the teapot with the etched design on it the best, but I also love salt and pepper shakers! Nice collection. Stopping in from Kathe with an E hop today.